Perhaps an example of the danger of reading something before being intellectually or critically able to handle it. I wasn't "forced" to read this in high school but it was on a list of books an English teacher asked us to choose from and report on. 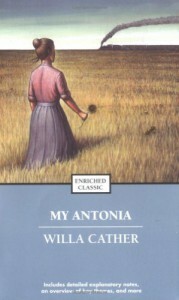 The experience was so awful that I've never cracked another Cather novel since.